Amid the excitement and clamour of Christmas, the new year can feel a million miles away. But, in case you’ve been swept away atop a wave of festive fever, it isn’t. In fact January 1 is just 32 days away, meaning that pretty soon you’ll have to face facts, dig deep and prepare yourself for the start of everyone’s least favourite month of the year — January. Before that day comes, however, there’s still time to reminisce about the year gone and the year to come. In cruise terms, 2015 has been a pretty special year; we’ve had new ships, new routes and the biggest cruise celebration on earth. But what does the cruise market have in store in 2016, and why should cruise fans be excited about the new year? To whet your cruise appetite ahead of the new year, here are some of our top cruise predictions for 2016. 2015 has seen the introduction of several new cruise routes, including P&O’s newly formed itineraries to Papua New Guinea and Fraser Island. Although it’s doubtful that any new 2016 routes will be announced now, the year could see the introduction of several itineraries scheduled for the 2016/17 cruise season — as P&O’s rivals (we’re looking at you, Royal Caribbean) look to improve their cruise roster in light of P&O’s recently announced expansion. As cruise lines look to encourage a younger demographic to their boats, this is having a direct impact on the direction lines are taking with their new facilities and amenities — particularly in terms of the culinary experience. Spearheaded by P&O, who have worked hard throughout 2015 to modernise their at-sea dining experience; cruise lines are now looking to replace the formal dining setup with something decidedly younger and fresher. 2016 will see the arrival of new specialist restaurants and dynamic dining experiences. Over the past couple of years, several cruise lines have redeveloped their internet service packages — recognising that more and more passengers are looking to use mobile devices at sea. In June 2015, Carnival Cruise Line rolled out high speed internet across its global fleet and introduced new packages for those wishing to use the improved service. Thus far, other cruise lines are yet to catch up with Carnival in terms of high speed internet access, so expect more lines to announce upgrades in the new year. Acknowledging that a cruise offers a great way to see the world, such breaks are becoming more popular with younger guests interested in the travel aspect of cruising. Earlier this year, Royal Caribbean announced the complete overhaul of its current shore excursion programme, and just this month, Princess Cruises announced their More Shore programme — which is intended to give passengers more time on-land in certain destinations. In 2016, we’re hoping to see more cruise lines following in Princess and RC’s footsteps to give passengers more flexibility and choice when it comes to trips and excursions. As touched on above, 2015 has been a bumper year for the Australian cruise market — with a notable increase in the amount of cruise bookings compared to 2014’s figures. 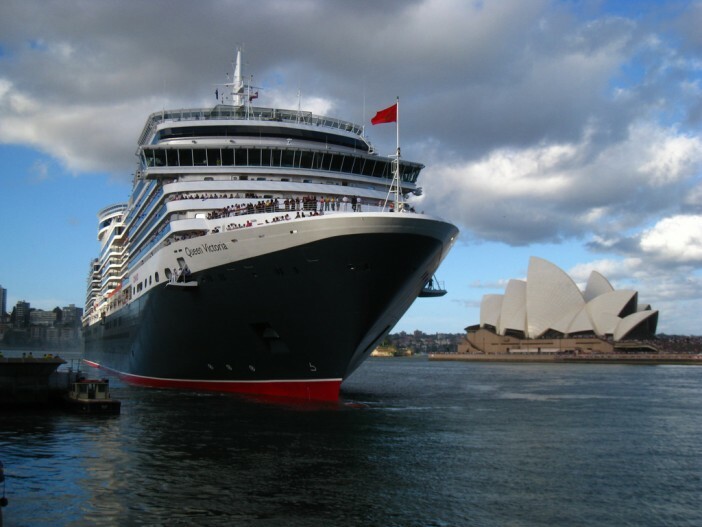 This led to a record-breaking ‘wave season’, as 41 ships sailed Down Under ahead of the 2015/16 cruise season. The increasing popularity of cruising is creating investment opportunities for port developers, as well as individual businesses in the tourist industry — something which will only serve to bolster the market in the new year. Interested in booking a 2016 cruise break with us? Visit the Cruise1st Australia to browse a complete range of 2016 cruises, or call our team on 1300 857 345.